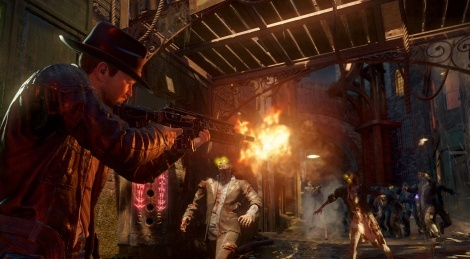 Treyarch brings back zombies for Call of Duty: Black Ops III with Shadows of Evil, a survival coop experience set in the 40s which stars Jeff Goldblum, Heather Graham, Neal McDonough, and Ron Perlman. all these co-op modes and split screen options. seems while halo is dropping the staple feature of their frachise, call of duty has swooped in and picked up the slack...awesome. CoD kiddies will lap this up. Wish it would go to PS4 exclusively! Split screen too? Man i havent split screened since N64!! This is the future! This is next gen! Why PS4 exclusively? I don't understand people's need to spread hate and create divisiveness. What advantage do YOU get from it being PS4 exclusive? (There's NO advantage to PS4 exclusive for Activision, since they're in the business of making money and more platforms = more money). He's an Xbox fan and somehow this would improve his life. And celebrating the death of split screen? What's next? 1080p is too many pixels. A PS4 owning XBOX fan... get it right! Cod has always been split screen...in multiplayer. Far as I'm aware the campaign still isn't? 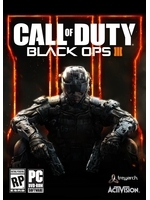 I'm surprised this year's Hardened Edition does NOT include the season pass. This actually makes the whole game for me. Looks fun! Campaign is...first time since WAW...and it is a glorious return! A glorious return indeed.. all the raging power of my ps4 driving 60fps split screen with no loss of visual fidelity! Plus we wont have to play online with CoDs 90% userbase of squeeky kids whose balls havent dropped! PS4 lead platform.. its ok to love CoD now.. right? Given the fact its giving me features i want, its certainly the better option this year, yes. :) it helps that AW was the first time COD has been good since COD4. Woooo! As much as i've tried to like AW & be open-minded, it was still an exhausting one-dimensional Michael Bay'esque experience. Nothing felt believable but a literal piece of props. I honestly didn't expect you to be so excited either. This may sound like 'just another CoD rant' but i've tried hard to enjoy it. Excited is a bit of a stretch. I'm just looking forward to it more so then i have any COD since COD4. Ghosts was garbage and just felt phoned in. but AW felt different to play, and MP mixed up a lot thanks to the exo suits. Mainly though it's the options avaliable for each mode... solo, online, split screen for pretty much every mode on the disc, as it really should be.